Grand Point, a 1st class property on the National Register of Historic Places, is the perfect blend of old world style with the finest in modern amenities. 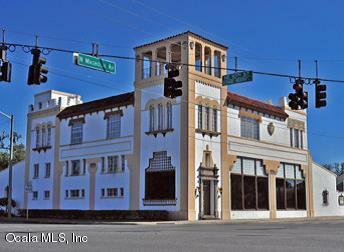 Built in 1939 by a renowned architect for the Coca Cola Bottling Company, this 3 story 9,725 SF Building was built to last with reinforced concrete in the Mediterranean Revival Style. The 3rd Floor features 9 first class offices, kitchen, plus an executive suite with sitting room, bedroom, and full bath. There is also an ornate conference room. The first floor is set up in a gallery style so a perfect location for events, conferences, parties, etc. Freight size elevator, 2nd Fl mezzanine, many original details restored, multiple fireplaces, all ADA updated restrooms, and so much more! Interior designed by professional decorators.